ineligible. That is what occurred in, Appistry, Inc. v. Amazon.com.3 Amazon successfully showed that the patents in suit were invalid under 35 U.S.C. Section 101 and were granted judgment on the pleadings.4 Amazon will then question the validity of the complaint, meaning, did the plaintiff meet its burden of proof of stating a cause of action? If Amazon can successfully show that the complaint is invalid, they will often receive judgment in their favor. Adaptix, Inc. v. Amazon.com, Inc., No. 5:14-cv-01379-PSG, 2015 U.S. Dist. LEXIS 111933 (N.D. Cal. Aug. 21, 2015). Amazon.com, Inc. v. Barnesandnoble.com, Inc., 239 F.3d 1343 (Fed. Cir. 2001). Adaptix, Inc. v. Amazon.com, Inc., 2015 U.S. Dist. LEXIS 111933 (N.D. Cal. Aug. 21, 2015). This was a patent infringement case brought by Adaptix Inc. against Amazon.com and other named defendants. The court concluded that the 4 cases, in which Amazon was a defendant, must be dismissed because they were barred by the doctrine against claim splitting. Adaptix, Inc. v. Amazon.com, Inc., 2016 U.S. Dist. LEXIS 33521 (N.D. Cal. Mar. 14, 2016). Adaptix asked the court to revisit this last set of decisions in their previous set of cases alleging patent infringement. The court had previously granted summary judgment on the claims in favor of defendants. The court concluded that because Adaptix made similar arguments that were already dismissed, the court denied the plaintiff’s request. Affinity Labs of Tex., LLC v. Amazon.com, Inc., 2015 U.S. Dist. LEXIS 77411 (W.D. Tex. June 12, 2015). In this case, the court was deciding whether to grant Amazon’s motion to dismiss based solely on the pleadings (early in the legal process). Here, plaintiff’s claim that Amazon was infringing their patent for “wirelessly communicating selective information to an electronic device.” The court granted the motion because the patent infringement claim would inhibit the “abstract idea” that made the technology possible from growing and developing. Alcatel-Lucent USA, Inc. v. Amazon.com, Inc., 2011 U.S. Dist. LEXIS 61039, 2011 WL 2260276 (E.D. Tex. June 7, 2011). The court here defined the disputed terms in the five patents that were in controversy. Amazon. Com Int’l, Inc. v. Am. Dynasty Surplus Lines Ins. Co., 2004 Wash. LEXIS 864, 152 Wn.2d 1030, 103 P.3d 200 (Wash. 2004). Amazon.com International alleged that defendant American Dynasty Surplus Lines infringed upon its patents by misappropriating the software used on Amazon’s website. The court concluded that “because the allegations conceivably amounted to an advertising injury covered by Amazon’s policy with Atlantic Mutual Insurance Company, Atlantic Mutual had a duty to defend” and revered the summary judgment in favor of Atlantic Mutual. The court remanded for entry of summary judgment in favor of Amazon’s excess carrier, American Dynasty Surplus Line. The court states that the duty is upon the primary insurer regarding any infringement of patents. Amazon.com, Inc. v. Barnesandnoble.com, Inc., 73 F. Supp. 2d 1228, 1999 U.S. Dist. LEXIS 18660, 53 U.S.P.Q.2D (BNA) 1115 (W.D. Wash. 1999). Defendants may continue to offer an “Express Lane” feature if the feature is modified to avoid infringement of the ‘411 patent in a manner that is consistent with the applicable conclusion of law. Amazon.com, Inc. v. Barnesandnoble.com, Inc., 239 F.3d 1343, 2001 U.S. App. LEXIS 2163, 57 U.S.P.Q.2D (BNA) 1747 (Fed. Cir. 2001). The Court vacated the lower court’s preliminary injunction and remanded the case for further proceedings based on BarnesandNoble.com’s ability to raise substantial questions as to the validity of the ‘411 patent, which was not considered in the lower court. This was a patent infringement case involving four software patents held by plaintiffs Amazon.com and A9.com, the assignee of one of the four patents at issue here. The plaintiffs alleged patent infringement via the company websites of defendants Cendant Corporation and its subsidiaries Trilegiant, Orbitz, Budget Rent-a-Car (“Budget”), and Avis Rent-a-Car Systems (“Avis”). The court granted the motion to transfer venues. The motion to transfer was granted here because the motion was backed by the convenience of the parties. Amazon.com, Inc. v. Straight Path IP Grp., Inc., 2015 U.S. Dist. LEXIS 69281 (N.D. Cal. May 28, 2015). This was a patent infringement case involving the sale of Internet-enabled devices with pre-installed video streaming applications – Amazon Instant Video streaming service. The court denied defendant’s motion to dismiss, and granted the motion to transfer venue. Appistry, Inc. v. Amazon.com, Inc., 2015 U.S. Dist. LEXIS 90004, 2015 WL 4210890 (W.D. Wash. July 9, 2015). Amazon.com was a defendant in this patent infringement case. Amazon motioned for judgment on the pleadings. The court concluded that because the patents-in-suit were invalid under, 35 U.S.C. Section 101, the defendant’s motion for judgment on the pleadings was granted. Appistry, Inc. v. Amazon.com, Inc., 2015 U.S. Dist. LEXIS 24421 (E.D. Mo. Mar. 2, 2015). Amazon.com was a defendant in this patent infringement case. Amazon.com motioned to transfer pursuant to a clause within an agreement signed by both parties. The court granted the motion finding that the “clear language of the forum selection clause includes this action because it related to the Service Offerings.” The court denied Amazon’s motion for partial summary judgment as it found that there was a genuine issue of material fact when looking at the record in the light most favorable to the nonmoving party. Amazon Digital Services was a defendant in this patent infringement case. Amazon filed a motion to transfer. The court, after looking at the convenience of the witnesses, convenience of the parties, and the interest of justice, found that these factors did not weigh in favor of a transfer and denied the motion. Big Baboon Corp. v. Dell, Inc., 723 F. Supp. 2d 1224, 2010 U.S. Dist. LEXIS 80289 (C.D. Cal. 2010). This was a patent infringement case involving a Motion to Compel, which the court granted in part and denied in part. The court ordered Big Baboon to provide Amazon with specific infringement claims charts with citations, so that Amazon could understand exactly what it was being accused of infringing. Bovino v. Amazon.com, Inc., 2014 U.S. Dist. LEXIS 32016 (D. Colo. Mar. 12, 2014). Bovino filed a motion to amend his complaint to include an additional 100 products that Amazon allegedly infringed. The court granted this motion as it found no bad faith argument against this amendment and found Amazon’s arguments to be without merit and therefore, invalid. Bovino v. Amazon.com, Inc., 2015 U.S. Dist. LEXIS 71772, 2015 WL 3523218 (D. Colo. June 1, 2015). Amazon filed a Motion for Summary Judgment claiming that they did not infringe the patent as a result of the patent’s meaning and that the patent is invalid. The court granted the Motion for Summary Judgment as Mr. Bovino did not adequately show a claim that the products infringed on the patent. Bovino v. Amazon.com, Inc., 2016 U.S. Dist. LEXIS 32368, 2016 WL 943780 (D. Colo. Mar. 14, 2016). Amazon filed a Motion for Attorney’s Fees and Mr. Bovino filed a Motion to Enforce Settlement Agreement. The court held that the Motion for Attorney’s Fees was denied, as the case did not rise to the “exceptional” level required. Additionally, the court could not enforce a settlement agreement, after a judgment by a court had been entered. Celebrate Int’l, LLC v. LeapFrog Enters., 2015 U.S. Dist. LEXIS 114407, 2015 WL 5092611 (D. Del. Aug. 28, 2015). This was a patent infringement case filed by Celebrate International LLC against Leapfrog Enterprises, an Amazon-owned e-reader for kids, regarding the ‘398 Patent and the ‘776 Patent. The court stated that the parties were to submit a proposed order that was consistent with the terms agreed upon in the opinion. Cloud Satchel, LLC v. Amazon.com, Inc., 76 F. Supp. 3d 553, 2014 U.S. Dist. LEXIS 174715 (D. Del. 2014). This was a patent infringement case where Cloud Satchel could not successfully argue patent infringement against Amazon.com Inc. and Barnes & Noble, Inc. The court granted Amazon.com and Barnes & Noble’s request for summary judgment for invalidity. Clouding IP, LLC v. amazon.com, Inc., 2013 U.S. Dist. LEXIS 73655, 2013 WL 2293452 (D. Del. May 24, 2013). Clouding IP filed suit against Amazon.com for patent infringement. The court addressed the issue of Direct Infringement, Induced Infringement, Willful Infringement, and a motion for a more definite statement. The court granted the motions in part and denied them in part. Content Guard Holdings, Inc. v. Amazon.com, Inc., 2015 U.S. Dist. LEXIS 39807 (E.D. Tex. Mar. 29, 2015). Amazon filed a defense claiming that Content Guard Holdings had failed to plead a case upon which relief could be granted. After observing all of the relevant documents, pleadings, and briefs, the court found that Content Guard Holdings had pled a case upon which relief can be granted. Amazon’s motion to dismiss was denied. Content Guard Holdings, Inc. v. Amazon.com, Inc., 2015 U.S. Dist. LEXIS 33881 (E.D. Tex. Mar. 19, 2015). Amazon, along with other named defendants, found that the joinder was improper in this case and motioned to sever pursuant to Rule 21 of the Federal Rules of Civil Procedure. The court denied all motions to sever finding that the parties were properly joined. Content Guard Holdings, Inc. v. Amazon.com, Inc., 2015 U.S. Dist. LEXIS 34667 (E.D. Tex. Mar. 20, 2015). While Amazon.com was a named defendant in this patent infringement suit, this document deals specifically with the court construing disputed terms. ContentGuard Holdings, Inc. v. Amazon.com, Inc., 2015 U.S. Dist. LEXIS 53687 (E.D. Tex. Apr. 23, 2015). While Amazon.com was a named defendant in this case, this particular document involved a motion to transfer filed by defendant, Apple. The court denied the motion to transfer and found that venue was proper. Cordance Corp. v. Amazon.com, Inc., 730 F. Supp. 2d 333, 2010 U.S. Dist. LEXIS 74368 (D. Del. 2010). Here, Plaintiff sued Amazon for patent infringement by use of its website’s “1-click” purchase feature. Plaintiff claimed Amazon’s information storage and way of collecting buyer and seller reviews violated plaintiff’s patents. Amazon successfully argued against an order that would require them to permanently halt its infringing activities or pay an ongoing royalty to patent owners because plaintiff did not show irreparable harm that could not be rectified by monetary payment. Cordance Corp. v. Amazon.com, Inc., 855 F. Supp. 2d 244, 2012 U.S. Dist. LEXIS 51268 (D. Del. 2012). CyberFone Sys., LLC v. Cellco P’ship, 885 F. Supp. 2d 710, 2012 U.S. Dist. LEXIS 115740, 2012 WL 3528115 (D. Del. 2012). Amazon was one of the named defendants in this patent infringement case. Cyberfone Systems, LLC, sued 175 defendants for violating the 060 patent. Defendants filed a motion for summary judgment. The court found that because the content patent was ineligible for patent protection, that the motion for summary judgment should be granted. CyberFone Sys., LLC v. Cellco P’ship, 2012 U.S. Dist. LEXIS 60045, 2012 WL 1509504 (D. Del. Apr. 30, 2012). Amazon.com is a named defendant in a patent infringement case. Cyberfone Systems, LLC, sued 175 defendants for violating the 060 patent and the 382 patent. A number of defendants motioned to sever and dismiss. The court granted in part on the issue of contributory infringement motions and denied in part on the remaining grounds. CyberFone Sys., LLC v. ZTE (USA), Inc., 2014 U.S. Dist. LEXIS 13478, 2014 WL 490586 (D. Del. Feb. 4, 2014). Amazon.com was a named defendant in this patent infringement case. Cyberfone Systems, LLC, sued multiple defendants for violating the 060 patent. The Court of Appeals agreed with the District Court in finding that the patent was invalid because the categorical data storage mentioned in the patent is an abstract idea that is not patent-eligible. Discovery Patent Holdings, LLC v. Amazon.com, Inc., 769 F. Supp. 2d 662 (D. Del. 2011). The court here is determining what construction of the parties disputed terms in the patent claim should be adopted by the court. Droplets, Inc. v. Amazon.com, Inc., No. 2:11-CV-392, 2012 U.S. Dist. LEXIS 122978 (E.D. Tex. June 27, 2012). The court here was determining whether to grant defendants motion to transfer venue where the majority of relevant documents and defendants’ headquarters were located in the District of Northern California. The court found that the location of sources of proof, availability of compulsory process, the convenience for witnesses, and the local interest factors all favored transfer, and granted the motion. EBAY Inc. and Microsoft Corporation v. Kelora Systems, LLC. This patent infringement case concerned Kelora’s US Patent No. 6,275,821, or the ‘821 Patent. The Court found that, without the assistance of expert testimony, Defendants had not met the standards required for summary judgment. Eolas Techs., Inc. v. Adobe Sys., 810 F. Supp. 2d 795 (E.D. Tex. 2011). Eolas Techs. Inc. v. Adobe Sys., 891 F. Supp. 2d 803 (E.D. Tex. 2012). In this case, the court as assessing the fairness of allowing the defendants to recover the costs of: (1) video depositions; (2) electronic discovery costs including document collection, processing, hosting, scanning and conversion; (3) photocopies; (4) CD and DVD copies; (5) graphics professional support at trial; and (6) demonstratives and exhibits for trial. The court provided guidance to the parties in how the costs can most fairly be assessed and ordered the defendants to resubmit their Bill of Costs to the court. EON Corp. IP Holdings, LLC v. T-Mobile United States, Inc., 2012 U.S. Dist. LEXIS 76467 (N.D. Cal. June 1, 2012). In this case the court esd deciding whether or not to grant a subpoena for discovery of third party Kineto. The court found that the subpoena could be granted with two slight exceptions because plaintiff Eon modified the scope of the subpoena to limit its discovery to matters relating strictly to T-Mobile devices. Execware, LLC v. Staples, Inc., 2012 U.S. Dist. LEXIS 174885 (D. Del. Dec. 10, 2012). In this case a Magistrate judge recommended that claims against defendant Staples, Inc. for both direct and willful infringement be dismissed because the complaint did not allege that Staples’ customers actually used the accused software, or that Staples caused its customers to directly infringe the patent, and plaintiff’s amended complaint relies solely on allegations that Staples was made aware of the patent by the filing of the original complaint in the present action. com, Inc. v. Amazon.com, Inc., 2008 U.S. Dist. LEXIS 99196 (D. Del. Dec. 9, 2008). Amazon.com was a defendant in this patent infringement case. Girafa, plaintiff filed a motion for preliminary injunction. The court concluded that there were substantial questions concerning the infringement claims and their validity and thus denied Girafa’s motion for preliminary injunction. Golden Bridge Tech., Inc. v. Apple Inc., 2012 U.S. Dist. LEXIS 130286 (C.D. Cal. Sept. 11, 2012). The court held that the motion to sever was granted, as the defendants’ infringements were not related and did not stem from the same occurrence. Additionally, the court denied the motion to transfer for Amazon, as it found that it had enough connections with the forum and there were also procedural issues with granting both motions. Golden Bridge Tech., Inc. v. Apple Inc., 937 F. Supp. 2d 490 (D. Del. 2013). The court set forth an interpretation of the claim language in the patents provided for the cases and denied collateral estoppel from the previous Texas court decision. Guardian Media Techs., Ltd. v. Amazon.com, Inc., 2013 U.S. Dist. LEXIS 171254 (C.D. Cal. Dec. 3, 2013). The court was determining whether defendants were improperly joined where it was alleged that defendants conduct was part of the same transaction or occurrence. The court held that joinder was improper as to all defendants except Amazon.com, Inc. because there is no indication that the defendants acted in concert or was connected in any way. Hand Held Prods. v. Amazon.com, Inc., 2014 U.S. Dist. LEXIS 85345 (D. Del. June 24, 2014). In order to infringe upon a patent, the actions taken must follow the same sequence or order of actions outlined in the patent. Amazon did not present any expert testimony but rather merely relied on attorney arguments, and therefore did not show that claims of a patent were indefinite or invalid. In re Amazon.com, Inc., 476 Fed. Appx. 738 (Fed. Cir. 2012). Amazon had submitted a writ of mandamus to vacate an order denying a motion to transfer a case and directing to transfer to the United States District Court for the Western District of Texas. The court ordered Global Sessions LP et al. to respond no later than February 8, 2012. In re Amazon.com Inc., 478 Fed. Appx. 669 (Fed. Cir. 2012). Amazon had submitted a writ of mandamus to vacate an order denying a motion to transfer a case and directing to transfer to the United States District Court for the Western District of Texas. The court denied Amazon’s writ of mandamus; the transfer of venue would not have been more convenient. Infinite Data Llc v. Amazon.com Inc., 2014 U.S. Dist. LEXIS 8849 (D. Del. Jan. 23, 2014). In this case the court was deciding whether to grant a motion to stay (temporarily postpone judicial proceedings). The court ultimately held that those defendants who agreed to be bound by the litigation decided during the stay would be granted that stay, and that those who wanted to litigate on their own would not be granted a stay. This decision favored fairness to all parties because plaintiff was not forced to re-litigate against any defendant, thus avoiding any tactical advantages. Innovative Office Prods. v. Amazon.com, Inc., 2012 U.S. Dist. LEXIS 59090 (E.D. Pa. Apr. 26, 2012). This was a patent infringement case brought by Innovative Office Productions against Amazon.com. among other defendants. Plaintiffs voluntarily dismissed most of the defendants, Amazon.com included. This case dealt specifically with the remaining defendants. IPXL Holdings, L.L.C. v. Amazon.com, Inc., 333 F. Supp. 2d 513 (E.D. Va. 2004). IPXL Holdings, L.L.C. v. Amazon.com, Inc., 430 F.3d 1377 (Fed. Cir. 2005). This was a case involving the appellant appealing summary judgment for a patent infringement claim awarded by the previous court. The court affirmed summary judgment and reversed the award of attorney fees. The district court erred in granting Amazon attorney fees, Amazon did not file a timely request. The district court properly granted Amazon summary judgment for the infringement claim. JVW Enters. v. Amazon.com, Inc., 175 Fed. Appx. 344 (Fed. Cir. 2006). JVW previously sued a wholesaler for patent infringement and no infringement was found so JVW appealed. The district court’s decision was reversed in part and remanded in part. The case here was on appeal. The district court’s decision was affirmed. KKG, LLC v. Rank Group, PLC, 2013 U.S. Dist. LEXIS 54279 (E.D. Tex. Apr. 16, 2013). The court was defining the meaning of 6 terms in dispute by the parties. Lexington Luminance LLC v. Amazon.com, Inc., 6 F. Supp. 3d 179 (D. Mass. 2014). Lexington sued Amazon.com and Amazon Digital Services alleging that the Kindle e-readers created by amazon were in violation of patent infringement of the 851 patent. This case dealt specifically with defendant, Amazon’s motion for judgment on the pleadings. The court found that the claim failed to narrow the composition of the substrate to any degree of substantial certainty. Ultimately, the court found the claim 1 of the 851 patent to be indefinite. The District Court allowed Amazon’s motion for judgment on the pleadings. Judgment was entered on Amazon’s counterclaim for a declaration of invalidity in its favor and Lexington’s complaint was dismissed. Lexington Luminance LLC v. Amazon.com Inc., 601 Fed. Appx. 963 (Fed. Cir. 2015). Lexington sued Amazon.com and Amazon Digital Services alleging that the Kindle e-readers created by amazon violated the 851 patent. This is an appeal from the United States District Court judgment in favor of Amazon.com. The Court of Appeals now reviewed the judgment and found that the district court erred in construing the claim and in holding the claim indefinite. The court remands. Lexington Luminance LLC v. Amazon Digital Servs., 2016 U.S. Dist. LEXIS 46023 (D. Mass. Apr. 4, 2016). The court determined claim construction for the patents in suit by defining them in a way that most naturally aligns with the patent’s description. M-Edge Accessories LLC v. Amazon.Com Inc., 2013 U.S. Dist. LEXIS 311 (D. Md. Jan. 2, 2013). The court denied the Defendant’s Motion to Dismiss, as it determined the plaintiff’s complaint contained enough factual allegations to support the claims. Amazon was able to get one of two patent infringement claims dismissed where the Court had no question that Amazon’s book cover did not infringe upon Plaintiff’s patent. Amazon’s motion for Summary Judgment was denied where there was a question of fact as to whether one of its e-reader book covers infringed upon the Plaintiff’s patent. Milo & Gabby sued Amazon.com for multiple infringement claims. Amazon.com motioned to dismiss claiming that the plaintiffs failed to state a claim. The District Court agreed with Amazon and granted to motion to dismiss the III, V, VII claims. Milo & Gabby sued Amazon.com for multiple infringement claims. The defendant, Amazon.com motioned in Limine. The court granted in part and denied in part. Milo & Gabby, LLC v. Amazon.com, 2015 U.S. Dist. LEXIS 149939 (W.D. Wash. Nov. 3, 2015). Milo & Gabby sued Amazon.com for multiple infringement claims. Amazon.com motioned to dismiss claiming that the plaintiffs failed to state a claim. After a jury hearing, the court adopted the jury’s finding that Amazon.com was not liable for “offering to sell” the alleged infringing products at issue in this matter. A judgment was placed in favor of Amazon.com and all claims against Amazon.com were dismissed. Mobile Telcoms. Techs., LLC v. Amazon.com, Inc., 2014 U.S. Dist. LEXIS 138786 (E.D. Tex. Aug. 26, 2014). Amazon.com was a defendant in a patent infringement case brought by Mobile Telecommunications. Amazon.com motioned to dismiss the claims. The United States District Court denied the defendant’s motion to dismiss because they found the claims brought by plaintiff, Mobile Telecommunications were sufficient. Mobile Telcoms. Techs., LLC v. Amazon.com, Inc., 2014 U.S. Dist. LEXIS 156454 (E.D. Tex. Nov. 5, 2014). While Amazon.com was a named defendant, this patent infringement suit deals specifically with the claim construction order of the disputed claims within the patents. Nazomi Communs., Inc. v. Nokia Corp., 2013 U.S. Dist. LEXIS 85344 (N.D. Cal. June 14, 2013). The court granted the motion for judgment on the pleadings, as Nazomi failed to show specific facts that support their allegations. Nazomi Communs., Inc. v. Microsoft Mobile Oy, 597 Fed. Appx. 1075 (Fed. Cir. 2014). The court affirmed the lower court’s order for summary judgment for the defendants, as it did not find Nazomi’s arguments persuasive enough to overturn the decision. Nomura v. YouTube, LLC, 2012 U.S. Dist. LEXIS 174332 (N.D. Cal. Dec. 7, 2012). The court found that the new evidence and modifications dud not unfairly prejudice Nomura and therefore denied the plaintiff’s motion to strike the modifications and not admit the new evidence. Nomura v. YouTube, LLC, 2013 U.S. Dist. LEXIS 18292 (N.D. Cal. Feb. 8, 2013) The court determined the meaning of the patent terms that were disputed in the claim of patent infringement. Nomura v. Amazon.Com, Inc., 2013 U.S. Dist. LEXIS 122895 (N.D. Cal. Aug. 28, 2013). The court determined that the documents Amazon requested to be sealed did not contain privileged information or trade secrets and therefore as not entitled to protection under the law and thus denied the motion to seal. OIP Techs., Inc. v. Amazon.com, Inc., 788 F.3d 1359 (Fed. Cir. 2015). Olympic Devs. AG, LLC v. Barnesandnoble.com LLC (N.D. Cal., 2011). The court here was ruling on the parties’ stipulation to stay (temporarily postpone) the proceedings pending re-examination of the patent at issue in this claim. The court held that this action was stayed in its entirety pending completion of the reexamination of the patent at issue. On Demand Mach. Corp. v. Ingram Indus., 442 F.3d 1331 (Fed. Cir. 2006). Amazon.com was a named defendant in a suit filed by On Demand Machine Corp. for Patent infringement. The United States District Court for the Eastern district of Missouri found Amazon to be liable. Amazon, along with other named defendants appealed the verdict and the court of appeals ultimately reversed the lower court’s decision. Parallel Networks, LLC v. Abercrombie & Fitch Co., 704 F.3d 958 (Fed. Cir. 2013). The court here, on appeal, was determining whether the district court erred in granting summary judgment for defendants. Plaintiff made challenges to the lower courts rulings on claim construction, its non-infringement rulings, and its denial of a Fed. R. Civ. P. 59(e) motion with respect to the severed defendants. The court affirmed the lower court because it agreed that plaintiff was attempting to amend its infringement contentions in order to make arguments that could have and should have been made before the entry of summary judgment. PersonalWeb Techs., LLC v. NEC Corp. of Am., 2013 U.S. Dist. LEXIS 110046 (E.D. Tex. Aug. 5, 2013). The court determined the claim language of the patent and determined what each term shall mean for the duration of the case. Additionally, the court denied Facebook’s Motion for Summary Judgment and HP’s Motion for Summary Judgment for Indefiniteness. Personalized Media Communs., LLC v. Amazon.com, Inc., 2015 U.S. Dist. LEXIS 104369 (D. Del. Aug. 10, 2015). The court granted the Defendant’s Motion for Judgment on the Pleadings, as none of the claims stated were eligible patent claims. Piao Shang Indus. Co. v. Acco Brands Corp., 2011 U.S. Dist. LEXIS 67417 (C.D. Cal. June 23, 2011). Pragmatus Mobile, LLC v. Amazon.Com, Inc., 2015 U.S. Dist. LEXIS 82256 (D. Del. June 17, 2015). The court determined that the Motion to Stay Litigation was done as a tactical attempt by the defendants and therefore denied the motion. Premium Prods. v. Pro Performance Sports, LLC, 997 F. Supp. 2d 433 (E.D. Va. 2014). The court affirmed the disqualification of Spiegel as the attorney for Premium as it would violate Virginia’s witness-advocate rule. The court determined that Spiegel would be a necessary witness and the magistrate did not rule contrary to law or erroneously. Red Pine Point LLC v. Amazon.Com, Inc. Case No. 14C 00274; 14C 00290. United States District Court Northern District of Illinois Eastern Division, July 2014. The court determined the motion to transfer was reasonable and granted to have all consolidated and related cases transferred to the Northern District of California. RMail Ltd. v. Amazon.com, Inc., 2013 U.S. Dist. LEXIS 34912 (E.D. Tex. Mar. 11, 2013). The court issued claim construction for the patents-in-suit. Robbins v. Unemployment Ins. Appeals Bd., 2016 Del. Super. LEXIS 31 (Del. Super. Ct. Jan. 25, 2016). Robbins sought unemployment compensation from Amazon after termination of his employment. Robbins did not provide a doctor’s note when he returned to work from a previous injury and subsequently left because he felt unable to perform. The Unemployment Insurance Appeals Board determined that Robins was not entitle to unemployment compensation benefits because he voluntarily quit without good cause. The court determined that the decision of the Board should be affirmed as Robbins did not meet his burden to show that he left Amazon with good cause. Schneider v. Amazon.com, Inc., 108 Wn. App. 454 (Wash. Ct. App. 2001). The court here was determining whether the lower court erred in dismissing plaintiffs claim against Amazon where Amazon was the provider or user of interactive computer services, plaintiff treated Amazon as a publisher, and Amazon was not the information content provider. The court agreed that because these elements were satisfied that the trial court did not err in dismissing the claim. SFA Sys., LLC v. Amazon.com, Inc., 2013 U.S. Dist. LEXIS 189807 (E.D. Tex. Apr. 11, 2013). Amazon.com was a defendant in a case dealing with patent infringement. Amazon.com motioned for partial summary judgment. The court found that defendants failed to show by clear and convincing evidence that these claims were insoluble due to an impermissible mix of apparatus limitations and method steps. Ultimately, the court denied the motion for partial summary judgment. Sipco, LLC v. Amazon.com, Inc., 2012 U.S. Dist. LEXIS 150940 (E.D. Tex. Oct. 19, 2012). While Amazon.com was a named defendant in this patent infringement case, the document at hand dealt specifically with the construction of the disputed terms in the patent. Sipco, LLC v. Amazon.com, Inc., 2013 U.S. Dist. LEXIS 137518 (E.D. Tex. Sept. 25, 2013). While Amazon.com was a named defendant in a patent infringement case, the document at hand dealt specifically with another named defendant, Hawking’s motion for leave to reconvene. The United States District Court granted the motion in part and denied it in part. Soverain Software LLC v. Gap, Inc., 340 F. Supp. 2d 760 (E.D. Tex. 2004). Amazon.com was a named defendant in a patent infringement case. The document at hand dealt specifically with Amazon.com’s motion to compel production of non-privileged documents. The court disagreed with Amazon’s arguments and denied the motion. Soverain Software L.L.C. v. Amazon.com, Inc., 383 F. Supp. 2d 904 (E.D. Tex. 2005). Amazon.com was a named defendant in an action brought by Soverain Software alleging patent infringement. This case dealt specifically with defendant’s motion for summary judgment. The court denied the vendor’s motion as to the patentee’s personal compliance with marking statute but granted the motion in all other respects. Soverain Software LLC v. Amazon.com, Inc., 356 F. Supp. 2d 660 (E.D. Tex. 2005). Amazon.com was a named defendant in an action brought by Soverain Software alleging patent infringement. Defendant, Amazon motioned to stay. After looking to the three determining factors, the court found that they did not weight in favor of a stay and denied the motion. Switzer v. Litex Indus. Case No. 11-cv-01174-REB. D. Colo., May 3, 2011. This was a case involving patent infringement and a briefing schedule to resolve matters. The court ordered that the parties shall file a joint claim construction statement of the patents at issue, limited to fifteen pages, shall be filed thirty days after the statement is filed, deadlines for filing a response brief and reply shall be followed, a response brief shall be limited to twenty pages, and the parties shall convene a telephone motions hearing within ten days after the reply brief is filed to set a time for a hearing. TainoApp, Inc. v. Amazon.com, Inc., 2014 U.S. Dist. LEXIS 177361 (D.P.R. Dec. 24, 2014). Amazon.com is a defendant in a patent infringement case. Amazon.com motioned for transfer and the court granted the motion finding that the interest of justice was in favor of transfer. Innovations, LLC v. Amazon.com, Inc., 2013 U.S. Dist. LEXIS 115352 (D. Del. Aug. 15, 2013). Amazon.com was a defendant in this patent infringement case. After reviewing the multiple motions made by the parties, the United States District Court ordered that plaintiff must show cause on or before September 12, 2013 for why the assertion of the 407 patent was proper under the requirements of Rule 11. Innovations, LLC v. Amazon.com, Inc., 2015 U.S. Dist. LEXIS 51415 (D. Del. Apr. 20, 2015). Amazon.com was defendant in this patent infringement case. Amazon.com requested attorney fees for the claims against them filed by plaintiff. This document deals specifically with the courts order for plaintiff to pay a total of $51,046 in attorney fees to Amazon. Telebuyer, LLC v. Amazon.com, Inc., 2015 U.S. Dist. LEXIS 96391 (W.D. Wash. July 23, 2015). Amazon.com was a defendant in this patent infringement case brought by Telebuyer. Amazon.com motioned for summary judgment claiming that the patents were invalid. The court, after applying the Alice framework, found that each of the representative claims were directed to patent-ineligible subject matter. Therefore, the court granted the defendant’s motion for summary judgment. Telebuyer, LLC v. Amazon.com, Inc., 2015 U.S. Dist. LEXIS 18200 (W.D. Wash. Feb. 13, 2015). This patent infringement case was dismissed in favor of Amazon because the claims in plaintiff’s patents were abstract, generic and indefinite, and therefore invalid. Tompkins v. Able Planet Inc., 2011 U.S. Dist. LEXIS 153068 (E.D. Tex. Feb. 17, 2011). The court here issued an order severing plaintiff’s claims. The court found that because the claims are clearly distinguishable, it should exercise its discretion and sever the claims based on product manufacturer in order to promote judicial economy as well as fairness to the litigants. Tuxis Techs., LLC v. Amazon.com, Inc., 2014 U.S. Dist. LEXIS 122457 (D. Del. Sept. 3, 2014). The court was determining whether to grant defendant Amazon.Com, Inc.’s, Motion to Dismiss for Failure to State a Claim. The court found that the concept of “upselling” in the field of marketing is “as old as the field itself,” and thus that the claim involved patent ineligible subject matter. The court noted that the limitations set out in the claim do narrow its scope, but not enough to save the claim from invalidity. Tuxis Techs., LLC v. Amazon.com, Inc., 2015 U.S. Dist. LEXIS 37128 (D. Del. Mar. 25, 2015). The court here was determining whether to grant defendant Amazon.Com, Inc.’s, (Amazon) motion to dismiss for failure to state a claim where Amazon claimed the patent, which deals with the concept of “upselling,” is for ineligible subject matter. 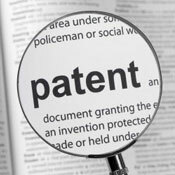 The court held that the patent claims clearly are drawn to patent ineligible subject matter. The concept of “upselling” is a longstanding commercial practice. Even though limitations narrow the scope of the claims, these limitations do not amount to an “inventive concept.” Thus all of the claims of the patent are invalid. United Video Props. v. Amazon.com, Inc., 2012 U.S. Dist. LEXIS 86914 (D. Del. June 22, 2012). The court determined the claim construction of the patents that were allegedly infringed. United Video Props., Inc. v. Amazon.com, Inc., 561 Fed. Appx. 914 (Fed. Cir. 2014). The court affirmed the lower court’s claim construction and their judgment of non-infringement under these claims and their definitions. Press v. Amazon.com, 2001 U.S. Dist. LEXIS 26987 (N.D. Cal. Nov. 29, 2001). The defendant filed a motion to dismiss based on the forum selection clause in the agreement. The court determined that the forum selection clause was valid, as the plaintiff failed to show that it would be unreasonable. Vantage Point Tech., Inc. v. Amazon.com, Inc., 2015 U.S. Dist. LEXIS 675 (E.D. Tex. Jan. 6, 2015). This as a patent infringement case involving a number of manufacturers and suppliers of chipsets. The Court decided that the chipset manufacturers’ cases will proceed to trial first. Amazon’s motion to stay was denied. Vantage Point Tech., Inc. v. Amazon.com, Inc., 2015 U.S. Dist. LEXIS 8335 (E.D. Tex. Jan. 26, 2015). The court decided what the terms in the patent meant for purposes of the claims, through claim construction. Vivo Per Lei, Inc. v. Bruchim Case No. 11cv05169 GW (JCGx). C.D. Cal., March 20, 2012. This case involved a proposed stipulated protective order to keep documents confidential in a case where defendants were accused of both copyright and trademark violations. The court found that Amazon would likely have had to provide information during discovery that would have been potentially harmful if it were made available to competitors. The court ultimately granted the protective order in order to keep the requested information confidential and required the parties to sign a non disclosure agreement. Voltstar Techs., Inc. v. Amazon.com, Inc., 2015 U.S. App. LEXIS 6008 (Fed. Cir. 2015). Amazon.com was a defendant in this patent infringement case filed by Voltstar Tech. Amazon filed a motion for summary judgment and the court granted the motion finding that there were sufficient differences between the patented device created by Voltstar and the device used by Amazon. Walker Digital, LLC v. Facebook, Inc., 852 F. Supp. 2d 559 (D. Del. 2012). This case involved a defendant’s motion to dismiss for lack of standing. The court granted the defendants motion to dismiss. Wax v. Amazon, Inc., 500 Fed. Appx. 944 (Fed. Cir. 2013). The Court determined that because Amazon Technologies Inc. is the dominant component for the trademarks utilizing this term, there is a high degree of similarity between Amazon.com and the Plaintiff’s desired mark, Amazon Ventures. This indicated a likelihood of confusion. The Court ruled in favor of Amazon Technologies, Inc. on the grounds that Mr. Wax’s arguments lacked merit. Wireless Recognition Tech. v. A9.com, Inc., 2012 U.S. Dist. LEXIS 130159 (N.D. Cal. Sept. 11, 2012). While Amazon.com was a named defendant, the main issues of this case were whether or not the court should stay the action for the 474 Patent. The court considered all factors within the case and granted the defendant’s motion for a stay of this case.